Photographer Ami Vitale has traveled to more than 100 countries, bearing witness not only to violence and conflict, but also to surreal beauty and the enduring power of the human spirit. 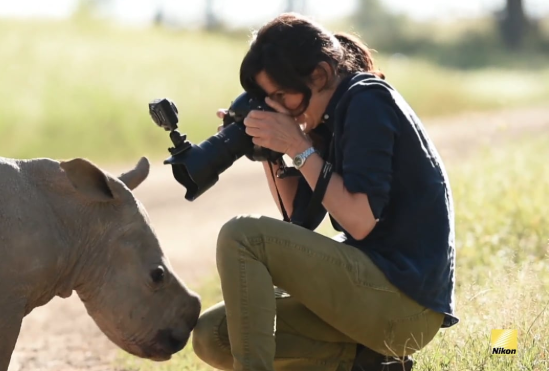 Throughout the years, Ami has lived in mud huts and war zones, contracted malaria, and donned a panda suit— keeping true to her belief in the importance of “living the story.” In 2009, after shooting a powerful story on the transport and release of one the world’s last white rhinos, Ami shifted her focus to today’s most compelling wildlife and environmental stories. Her photographs have been commissioned by nearly every international publication and exhibited around the world in museums and galleries. She has been named Magazine photographer of the year in the International Photographer of the Year prize, received the Daniel Pearl Award for Outstanding Reporting and named Magazine Photographer of the Year by the National Press Photographer’s Association, among others.